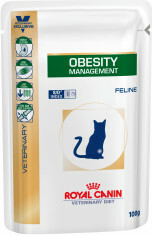 Obesity Management For obese cats or for weight maintenance following weight loss. 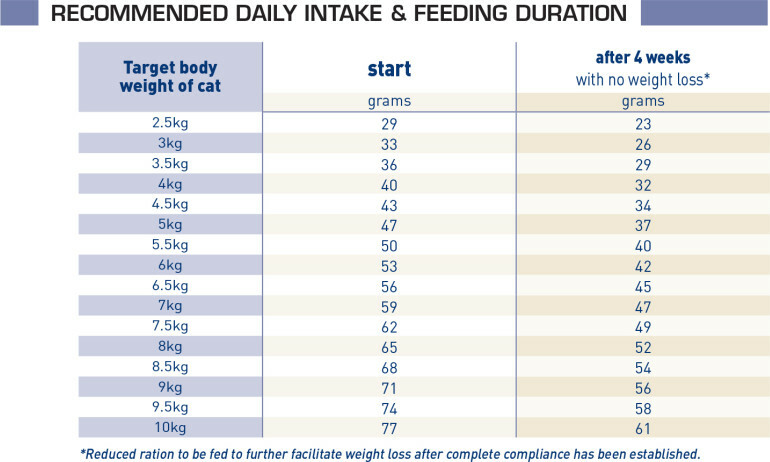 Dehydrated poultry meat, wheat, wheat gluten*, vegetable fibres, maize gluten, hydrolysed animal proteins, animal fats, beet pulp, minerals, fish oil, psyllium husks and seeds, hydrolysed crustaceans (source of glucosamine), marigold extract (source of lutein), hydrolysed cartilage (source of chondroitin). Crude ash: 8%. Crude fibre: 6.4%. Crude oil fats: 10%. Moisture: 5.5%. Protein: 42%.